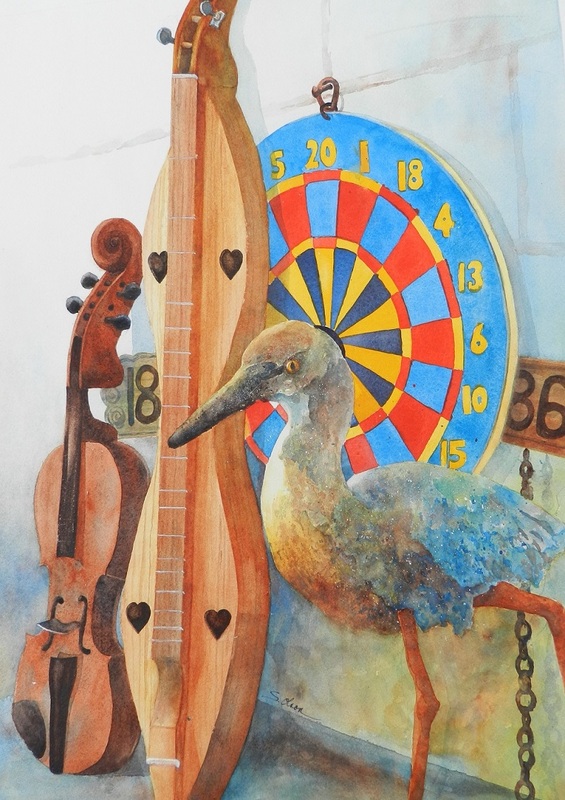 My painting, Simply Folk, was accepted into the NorthStar Watermedia National Juried show. This painting is a tribute to my father who was a woodcarver and story teller. All the objects represented were made by him.